Comics In 5 Panels: Marz's Green Lantern series in 5 panels. 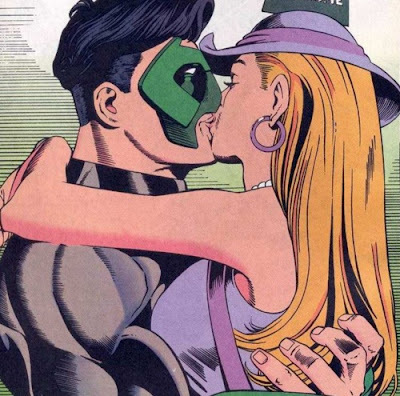 Greetings, Kyle Rayner. We are women. And we adore you! We exist solely to please you. We need no powers, nor any adventures, we only need your company. You love make us whole. Man, am I glad I picked chick magnet as my career! ... This guy is my favorite GL? I loved that era of GL. Also, I miss Jade, whom I fell in love with right alongside Kyle. Damn, those were fun books.. Okay, so I've got three other commentators here with me. Meet Ziggy, Carlos and Jack. Power Rangers. Ya. All Green ones. Ziggy: "Look! 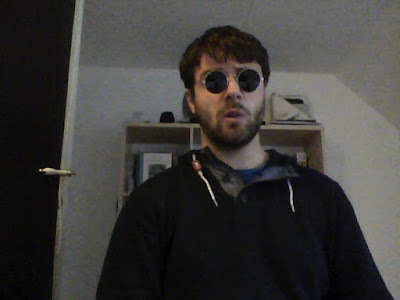 A girl? Talking to someone called Kyle Rayner? This will be a big fail!" Jack: "Wait... what does that say?" Dash: "'Greetings, Kyle Rayner. We are women. And we adore you!' Oh boy..."
Ziggy: "HOT KISSING <3 LIKE COMMENT SUBCRIBE FOR MORE"
Carlos: "How'd you even become a Power Ranger?" Dash: "Ah cool! Maskless kissing! Remind me why this guy is my favourite GL~"
Jack: "He's adorable as hell?" Jack: "More Maskless kisses, but less adorable and with She-Hulk." 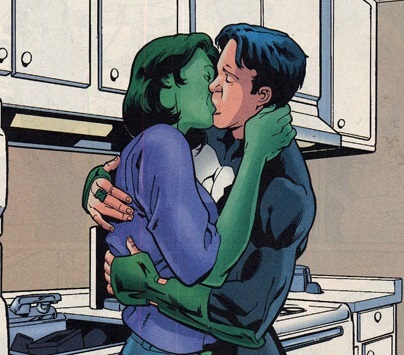 Dash: "Actually, that's not She-Hulk." Ziggy: "Better caption for this should have been 'Hi, I'm Kyle Rayner, and I'm a Harem Anime Protagonist!'" And with that, three words. 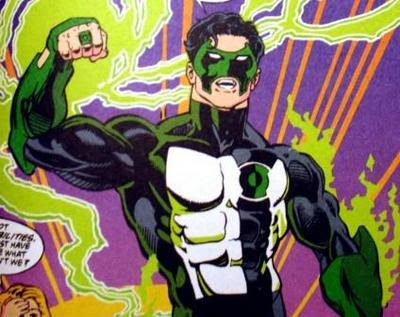 My favourite Green Lantern. Thanks for this.